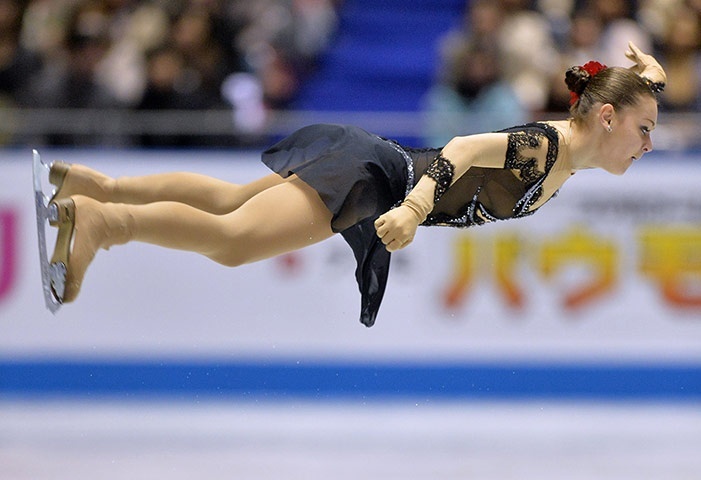 Russia’s Adelina Sotnikova hangs mid-air during the ladies’ short programme at the ISU World Team Trophy figure skating in Tokyo in April 2013. This entry was posted in Uncategorized and tagged competition, feet, feet in the air, figure skating, Russian figure skater Adelina Sotnikova, skating, sports, Tokyo Japan. Bookmark the permalink.